Heavy duty zip ties are a perfect solution for larger wiring and bundling jobs in either home or commercial applications. 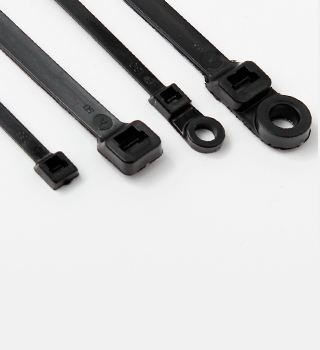 Due to their immense strength, industry professionals have been known to use these zip ties for everything from electrical applications to minor automotive repairs. These heavy duty cable ties come with a tensile strength of 120 lbs. and are available in lengths from 8" all the way to 48" long. Made of the best material for strength and durability, these large zip ties are built to last! We carry a large variety of cable ties to handle any job. We carry standard zip ties in many different strengths and lengths, but also stock reusable cable ties that can be used over and over. 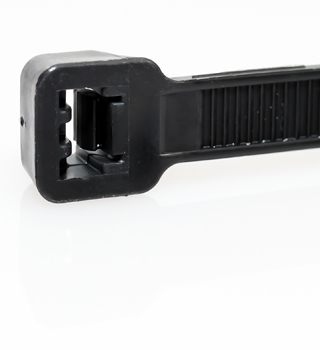 If you have any questions concerning our cable zip ties, please call us at 1 (866) ZIPTAPE. Heavy Duty cable ties come with a tensile strength of 120 lbs. and are available in lengths of 8" to 21" that make them a perfect solution for large bundling or wiring applications in the home or on the jobsite. Prevent cracking & breaking caused by repetitive vibration, impacts, extreme temperatures and rough environments. Impact ties are manufactured to withstand the harshest of abuse. 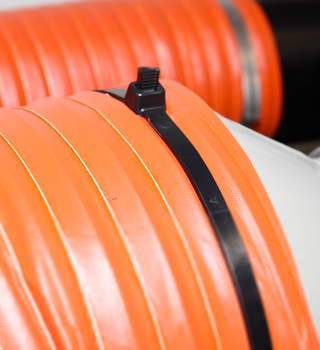 Economically band bundles with high quality steel zip ties. 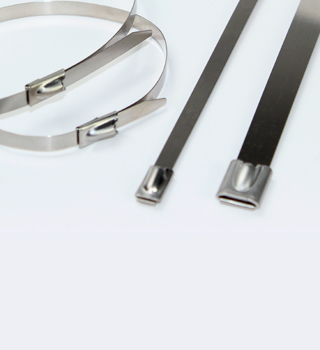 Stainless steel cable ties are a perfect solution for bundling and securing cables and wires in extreme temperature and environmental conditions. Used primarily in commercial applications within the HVAC industry, these heavy duty duct straps can accommodate large diameter duct work and piping.